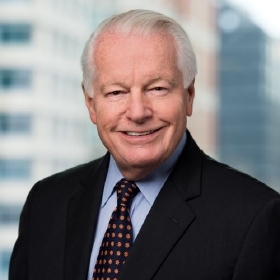 Roger Dow, President & CEO, U.S. Travel Association, The Washington, D.C.-based organization representing all segments of travel in America—an industry that generates $2.4 trillion in economic output and supports 15.6 million jobs. U.S. Travel's mission is to increase travel to and within the United States.U.S. Travel advocates for policies that allow travel to thrive. Dow regularly meets with executive branch and congressional leaders to discuss industry priorities, and his efforts have resulted in major legislative victories. He was instrumental in establishing Brand USA, the highly effective national travel and tourism promotion program. Beyond U.S. Travel's role as chief travel industry advocate in Washington, the association under Dow's leadership provides essential research, including analysis of travel's significant economic impact and products such as the monthly Travel Trends Index.U.S. Travel produces annual events that connect the industry, such as IPW—the leading international inbound travel trade show—which drives $4.7 billion in future travel to the United States; and ESTO, the premier learning and knowledge-sharing forum for destination marketing professionals. Additionally, Dow and U.S. Travel are leaders of the Meetings Mean Business Coalition, which promotes and defends the value of face-to-face business meetings, trade shows, conferences and conventions.Counted among Dow's successes is Project: Time Off, a research-driven initiative aimed at vacation usage that evolved to support the expansion of U.S. Travel's domestic leisure travel agenda.For his work to unify the travel industry and increase its effectiveness on Capitol Hill, Dow is the recipient of multiple honors, including the 2018 MPI Industry Leader Award, Successful Meetings' Most Influential People, and the 2008 TRENDS Association Executive of the Year. Prior to joining U.S. Travel in 2005, Dow advanced through the ranks at Marriott International in a tenure spanning 34 years, where he rose to senior vice president of global and field sales. He has held seats on the boards of ASAE, ASAE Foundation, PCMA, MPI Foundation, GWSAE, the Travel Institute, RE/MAX International and the U.S. Chamber of Commerce Committee of 100.Dow served in the United States Army with the 101st Airborne Division in Vietnam, where he received the Bronze Star and other citations. He earned a Bachelor of Science degree from Seton Hall University and was honored as a Most Distinguished Alumnus in 2012. In addition, he holds an honorary degree from Johnson & Wales University.